During the Games Convention in Leipzig, Sony announced a new accessory for the PlayStation 3. 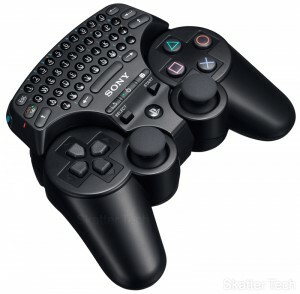 This little keyboard snaps onto any SIXAXIS or DUALSHOCK 3 controller to make inputting text easier. The Wireless Keypad accessory is quite similar to what Microsoft rolled out for their Xbox 360 controller over a year ago, however it’s got a few extra features. In addition to making it easier to chat with others and use the browser, it also features a few shortcuts and a special touchpad mode. The shortcuts allow quickly accessing the friends list and message box through the XMB while in games. And the touchapad mode turns the entire face of the keypad into a touchpad to control the pointer when using the browser. 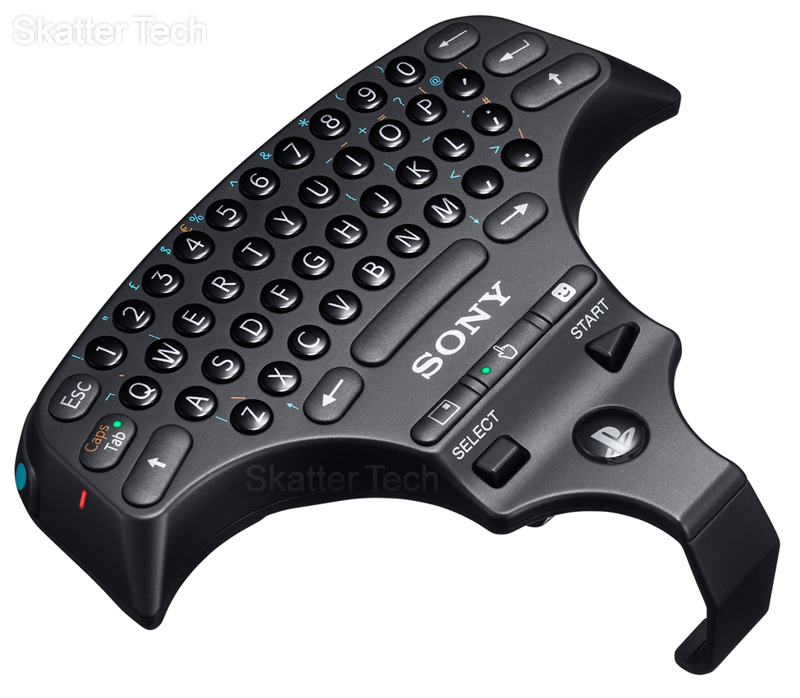 The Wireless Keypad doesn’t seem to communicate with the controller at all, but rather just clips onto it. It has to be paired directly with the PS3 using a USB cable the same way a controller is. And it’s just using the standard Bluetooth 2.0 technology that’s built into the PS3, so no additional equipment is necessary. One bummer might be that this QWERTY keyboard doesn’t seem to be backlit, which the Xbox accessory does. According to the press release the keyboard will become available in North America in November, however pricing hasn’t yet been mentioned.